For the last few days, my daughter has been proudly telling me that she knows how to write the number two hundred and four. Considering she’s not even five years old yet, I thought that was quite impressive, and congratulated her aptly every time she mentioned it. And she mentioned it a lot. I didn’t really think about it too much, but then yesterday, she told me again, and also proceeded to show me. 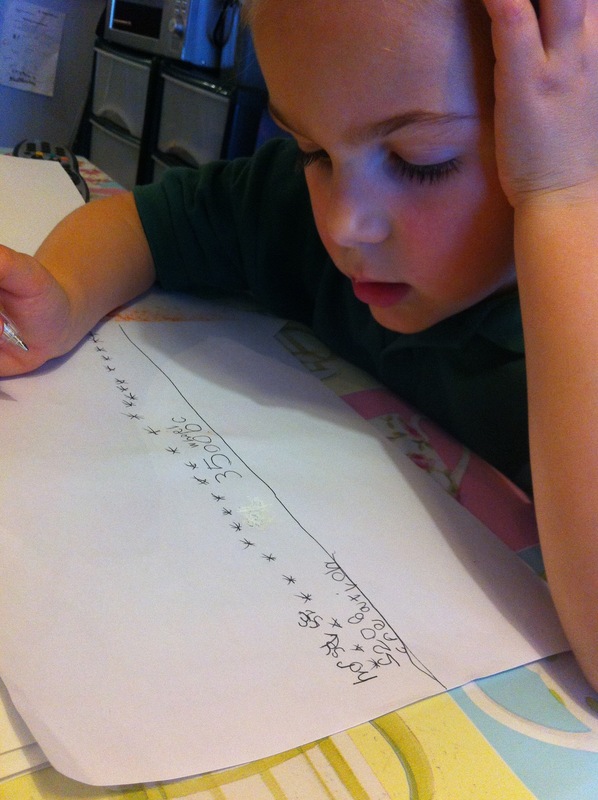 “Mummy I know how to write two hundred and four”, she said, and she correctly wrote the actual numbers, 204, on a piece of paper. How come she knew how to write such a big number? And why that particular one? It seemed quite random. But knowing my daughter, there was a story. “How come you know how to write two hundred and four?” I asked. So she told me. The other day, she had been writing the number twenty four. And she wrote 20, and 4 next to each other: 204. One of the teaching assistants at her school explained that what she had written was not in fact twenty four, but actually two hundred and four. He then showed her how to write twenty four correctly. In the past, the concept of learning from my mistakes has been one that I have associated with feelings of pain, embarrassment, and difficulty. I have considered learning from mistakes a necessary evil, something you just have to do. I have thought mistakes are bad bad things, that I want to try to avoid at all costs. I have thought that mistakes are not my friends. Therefore, if I should be unlucky or unwise enough to commit a mistake, I should at least put my head down and learn from it. But here was my sweet and happy little almost-five-year old. She made a mistake. And that was actually quite normal. And totally acceptable, since she’s only been going about the business of writing numbers, with any seriousness, for about 6 weeks. She was corrected, of course. That is to be expected. But then there was a bi-product that came out of this process. She got a new, unexpected piece of learning; of which she was extremely proud! She got to learn how to write a big number! Much bigger than the other numbers she is used to dealing with at the moment! The learning she got from this mistake was of great value to her, and actually made her feel empowered, excited, and proud of herself. So… could mistakes actually be normal? Are they to be expected? Are they even to be welcomed as opportunities for learning big things? Could mistakes be my friends after all? My previous thinking was flipped on its head yesterday, after listening to Aliyah’s story. I am starting to believe the answer to the questions above, may in fact (at least in some, if not all cases) be yes.